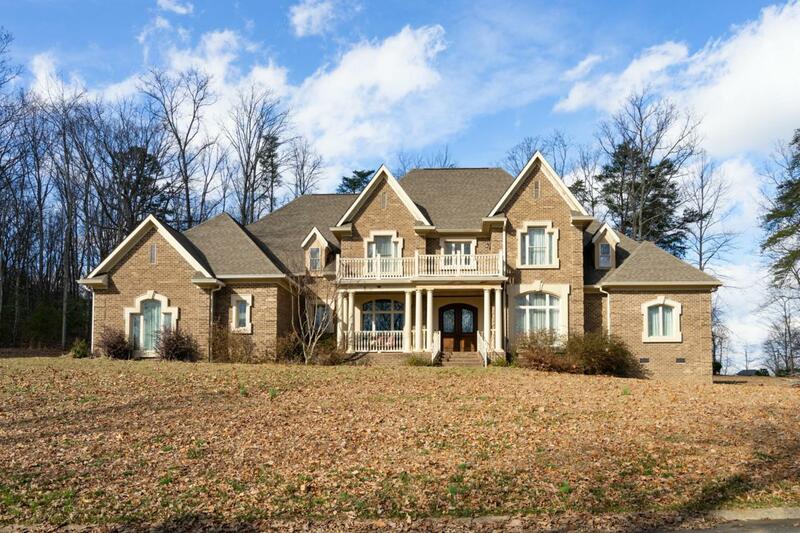 If you have discerning taste and appreciate the finer things in life, you need to see this home! 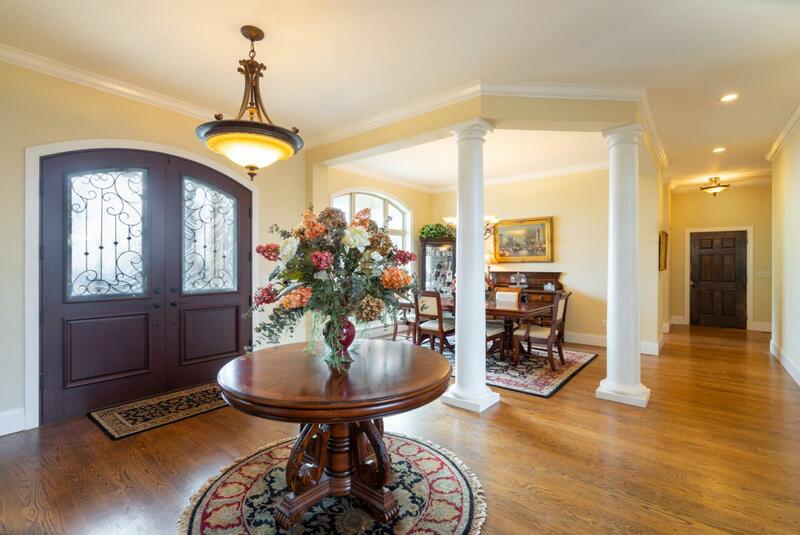 All brick construction centered in a private, majestic setting. 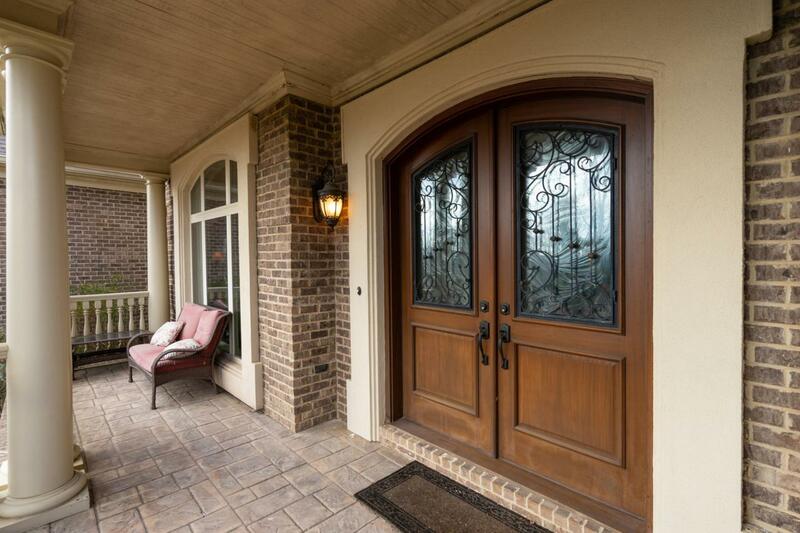 Stamped concrete front porch and custom wood/wrought iron doors entice you to visit. 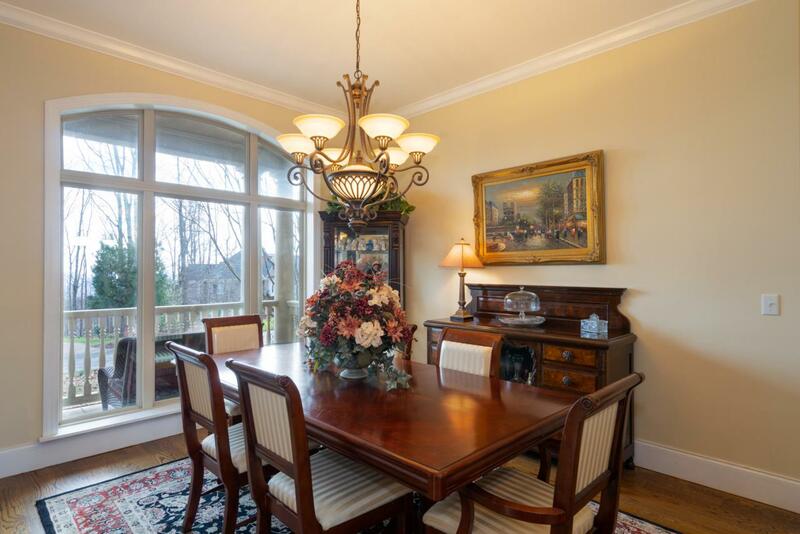 Entry foyer is open to formal dining room and nearby 2 story living room is made special with its wall of windows. Cook's dream kitchen boasts furniture grade cabinetry (refrigerator is covered as well), modern 2 refrigerator drawers and commercial grade double oven with gas cooktop. Love the pot filler in this space too! Adjoining great room is light and bright with its walls of windows and doors and makes for practical living with its cozy fireplace (custom wood mantle) and built in storage.Massive master suite has sitting room, gas fireplace, private bath with jacuzzi style tub, oversize shower and a closet large enough to be a bedroom. Upstairs landing would make a great office space - love all the built in bookshelves in this area! Large bedrooms with hardwoods throughout and wonderful laundry room has even more storage (might actually make you enjoy doing the laundry!) Covered back porch is the perfect place to relax after a hard day. This home should be on your must see list.